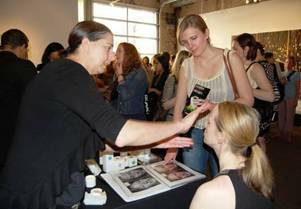 CALLING ALL BEAUTY, FASHION, AND LIFESTYLE BRANDS: VENDOR APPLICATIONS NOW AVAILABLE FOR THE 8TH ANNUAL BEAUTY NIGHT OUT 2015! Posted on January 19, 2015 by master in Blog, Events, Media, Press, Publicity, Vendors | Comments Off on CALLING ALL BEAUTY, FASHION, AND LIFESTYLE BRANDS: VENDOR APPLICATIONS NOW AVAILABLE FOR THE 8TH ANNUAL BEAUTY NIGHT OUT 2015! Washington, DC – Do you want your business to interact face-to-face with a highly engaged and influential audience of savvy young women? SHOWCASE YOUR BRAND: By utilizing our extensive resources, our niche database and strong brand presence, BNO event is able to effectively tap into the most desirable demographic in the metropolitan Washington, DC area. Look to Beauty Night Out audience to spread the word about your brand – to their friends, colleagues and neighbors. Sponsors and vendors will enjoy the opportunity to engage face-to-face with consumers and gain exposure in the most effective and intimate social setting. Attendees enjoy an evening of pampering, shopping, networking and complimentary samples.